We’re excited to announce some big news! 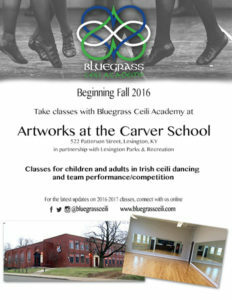 Beginning this fall, Bluegrass Ceili Academy will be offering Irish dance classes in Lexington through Artworks at the Carver School. Artworks at the Carver School is a community cultural arts facility operated by Lexington Parks & Recreation. Through the program, Bluegrass Ceili Academy will offer group Irish dance classes in Lexington for both children and adults. 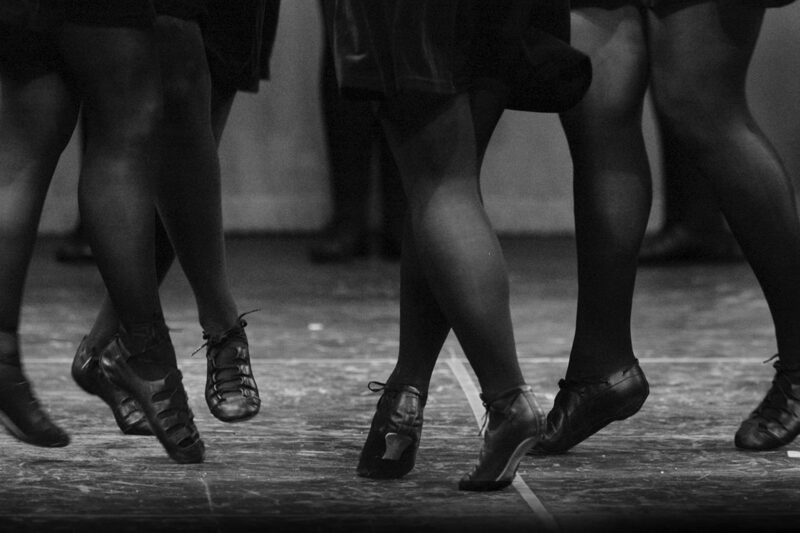 Classes will focus on group choreography — known as ceili dancing — for fun, for performance and for competition. Whether you’re a beginner, have some dance experience or are coming back to Irish dance after a break, check out our new classes this fall! Download this flyer to help us spread the news about Irish dance classes in Lexington with Artworks at the Carver School. Want to help us spread the word? Here’s a flyer you can download and share with your family and friends! Registration will begin in late summer, with classes running September through May. All registration will be through Lexington Parks & Recreation and will be available online at http://Parks.LexingtonKY.gov, in-person at Artworks at the Carver School (522 Patterson Street), by phone at (859) 425-2057 or by mail. We’ll be sure to send out a reminder when registration opens, so be sure to connect with us via email or social media to stay up to date!